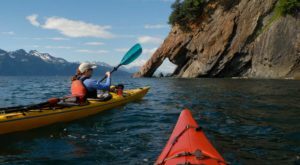 Looking for the best all you-can-eat dining experience in Alaska? 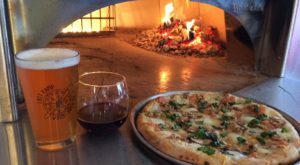 Fairbanks’ fine dining scene has you covered. 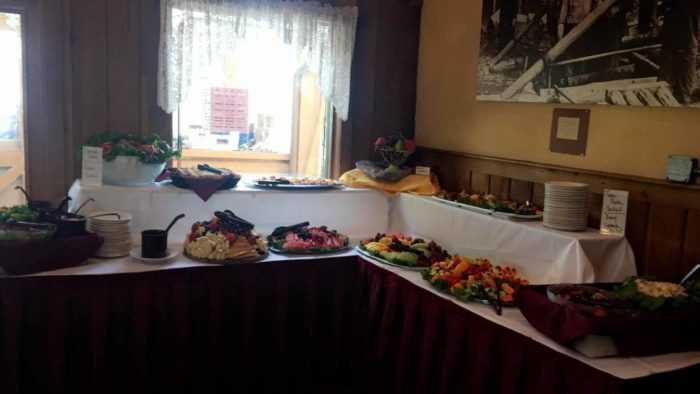 With an amazing all-you-can-eat dining experience at The Pump House, you’ll take a step back in history to enjoy some the best buffets in the state. With everything from formal dinners to an amazing brunch selection, it would be hard to find something you didn’t enjoy! Over 40 years ago The Pump House restaurant was reconstructed on the Chena River in Fairbanks. The building was recreated in 1978 to resemble the "Rip Roaring" era in Fairbanks. They have a beautiful deck you can dine on, and plenty of sunny tables at which to sit on the deck and watch the ships go by. All the food at The Pump House is served "Alaskan Style." That means "Local Grown" whenever they can get it— even if it's just fresh herbs from their garden! 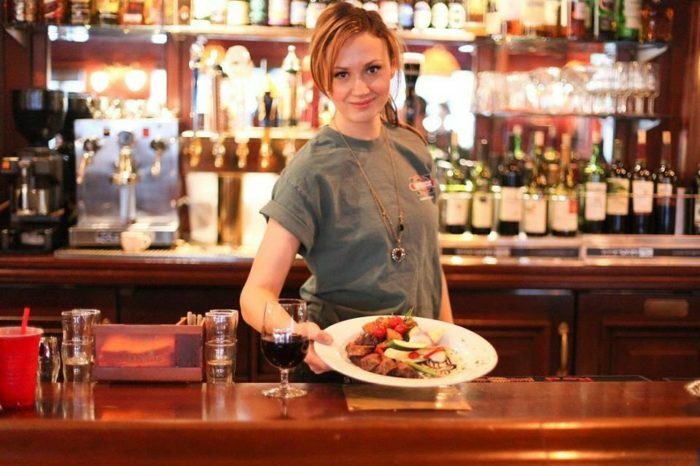 The Pump House can claim to have the world's "Most Northern Oyster Bar," where fresh oysters are flown in on Alaska Airlines. They also use Alaskan Salmon exclusively. The Pump House is an attempt to recreate the Gold Rush feeling, like you see here in their saloon. Many of their furnishings are antiques, some over 150 years old! One of the pool tables on premise was built in 1898, and shipped to Dawson City in 1900. It was shipped in on the Yukon River. They serve buffets on some of the big holidays like Thanksgiving and Christmas. This buffet is from Thanksgiving, and what a feast that must have been! With items on the menu like prime rib, Alaskan King Crab, and filet mignon, we're guessing the Thanksgiving holiday spread was a delicious one. They are also known for hosting special event buffets. 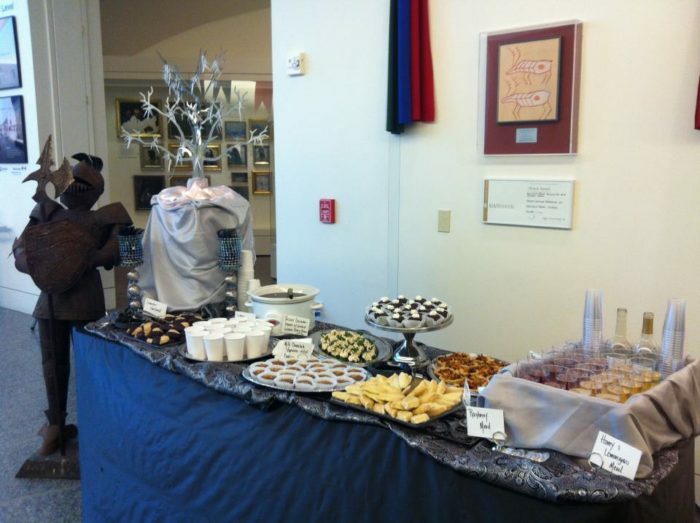 This event was the 25th Annual Chocolate Bash! With delicacies such as lavender shortbread hearts dipped in dark chocolate, and milk chocolate espresso filled cookies, our guess is that the reservation list sold out. 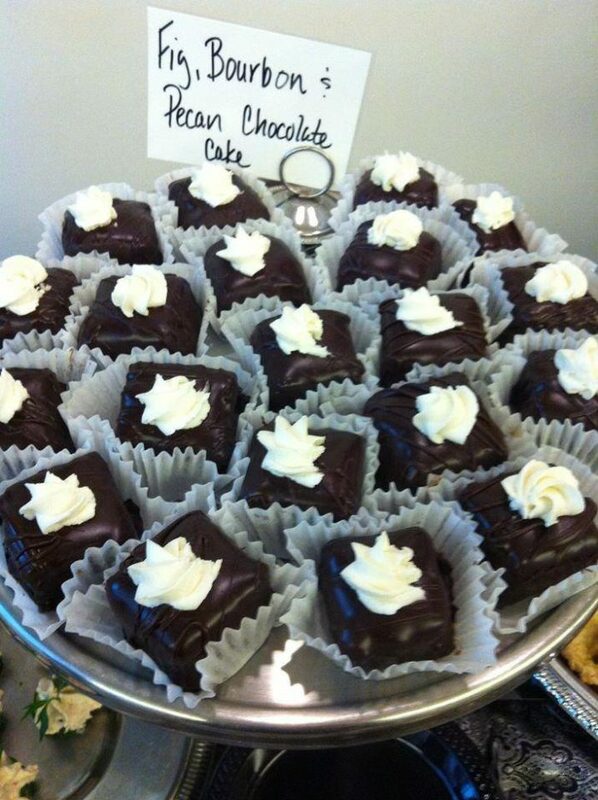 The Pump House is skilled at many different desserts and pastries. This is a delicious looking bourbon-soaked fig and pecan chocolate cake with goat cheese. With dessert buffet tables featuring such mouthwatering dishes like this, we're sure they're a favorite part of everyone's brunch experience. They are also excellent at smaller, savory finger foods in their buffets. 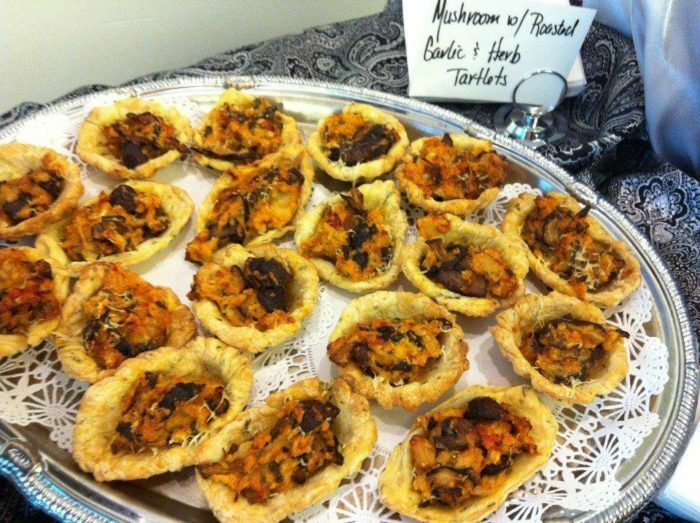 These mushroom, roasted garlic and herb tartlets look heavenly. This is just one of the appetizers they may offer when you swing by for an all-you-can-eat experience! Don't forget the ever popular brunch buffet holidays! They have a delicious option on Easter and Mother's Day. 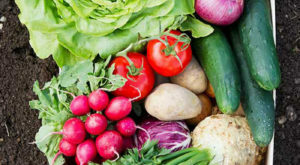 With breakfast options, plenty of salad varieties, peel and eat shrimp, and smoked salmon, there's everything your mother would love to be spoiled with! 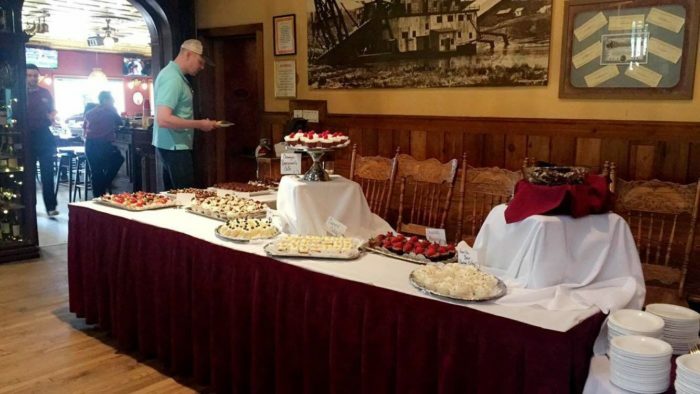 They also offer over sixteen feet of dessert choices. Their buffet displays are always gorgeous. With a two-tiered table of dishes on beautiful white linens, they have a wide variety of options. With full dinners of chicken, beef, ham, and Alaskan seafood, to light, fresh salads and fruit, there is something to offer for everyone. Reservations are recommended, as their buffets are very popular. These delicious Sunday buffets are offered every week. The prices start at a fantastic $28.95 for adults, $14.50 for kids 5-12 years of age, and 4 and under eat free! 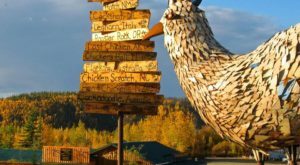 The Pump House is a Fairbanks landmark, with many relics from Fairbanks' past! 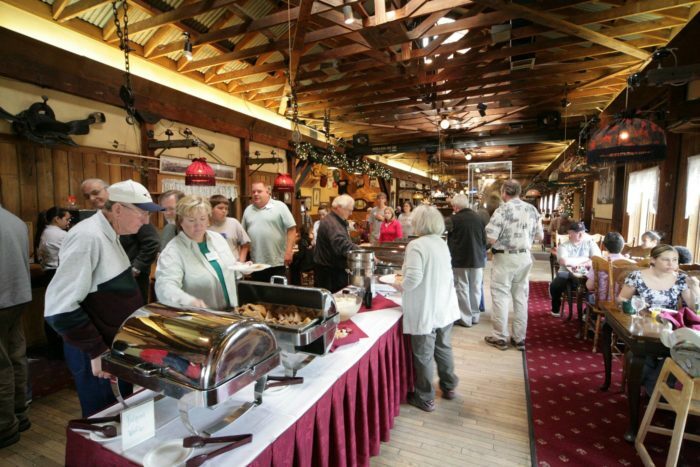 A staple in the Fairbanks dining scene for over 40 years, The Pump House makes for a great afternoon, all-you-can-eat buffet after a morning of hiking or skiing nearby. 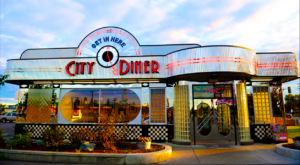 If you're from out of town, make sure to put this on your must-try list! 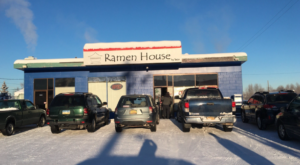 The Pump House is located on 796 Chena Pump Rd., in Fairbanks, Alaska. They are open Tuesday through Thursday, 4:00 p.m. to 10:00 p.m., Friday and Saturday 4:00 p.m. to 11:00 p.m., and Sunday (for their amazing brunch buffets!) 10:00 a.m. to 10:00 p.m.
You can learn more about their restaurant on their Facebook page. 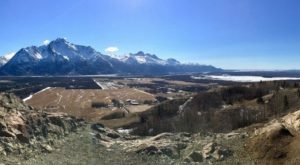 Looking for something else to do in Fairbanks while you’re waiting for your reservation at The Pump House? 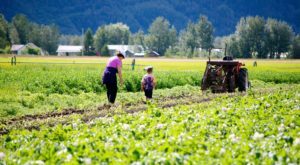 Get in the history mood and check out The Mine Tour In Alaska That Will Take Your Family On A Fascinating Adventure.